*a 1,000 year old book of Psalms, dated back to the years 800-1000, was found open to Psalm 83 in Ireland in July 2006. Modern-day Israel is surrounded by enemies who conspire together to destroy her from the day she declared independance. This possible second layer of prophecy of the ten horns in Revelation is to be seen in the context of scenario in which eventually the whole world will summon to wage war against Israel. There are, however, two countries in the list of Psalm 83 Conspiracy, Egypt and Jordan, that are in official peace and yet they are sworn enemies of Israel. • ISIS has also been trying to gain some ground in Northeast and Northern Lebanon. • ISIS has even infiltrated Gaza where Hamas rules. • ISIS launched an offensive in the Northern Sinai Peninsula in Egypt. • Jordan is not in a better shape than its neigbors and may be the next victim of ISIS’ invasion. So, to a certain extent, ISIS has infiltrated all the areas listed in Pslam 83, including Jordan and Egypt, the only two countries with existing fragile peace treaties with Israel. On the other hand, Israel has her worries with Hamas in Gaza Strip in the south and Hezbollah in Lebanon in the north. And how the West is responding to ISIS? The western powers in the face of U.S. and E.U. are clueless, hopeless, and helpless in handling the Middle East crisis, or are they? Therefore, we may conclude, the psalmist might have spoken prophetically and the Middle East might be getting closer to the fulfillment of Psalm 83 which was something impossible two decades ago. This leads us to believe that the grip around Israel has been getting tighter and tighter with no one but Israel to handle. Having said that, we need to consider another player in the Middle East: the Organization of Islamic Cooperation (OIC). 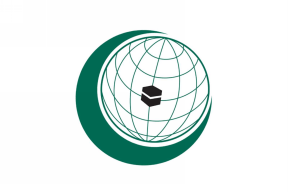 The Organization of Islamic Cooperation (OIC) is the second largest inter-governmental organization after the United Nations which has membership of 57 states spread over four continents. Although the idea of forming an international Islamic organization had been around for centuries, the first real efforts to form such an organization only occurred after the official abolition of the Ottoman Empire. A series of conferences were held since then, including one in Cairo in which Muslim scholars called for an Islamic conference to consider what entity would succeed the Caliphate. It is important to distinguish between the ISIS version of the caliphate which the terrorist organization wants to establish and the historical caliphate. The Pan-Arab identity entered into a serious crisis and in the 1916 Sykes-Picot Agreement, the British empire and French empire divided up the countries in the region between them. Following the collapse of the Turkish Empire after WWI in which Britain and France emerged victoriously, the last caliphate was formally abolished in 1924 and its former territories were swallowed up by the European imperial powers; nothing new since the Roman Empire: divide and conquer. They divided up the Middle East in such a manner that historical ethnic groups were fragmented and then grouped into artificially created “nations” with inherited ethnic conflicts which we see today. 100 years later the Arab world still has not recovered from this political and cultural catastrophe. The Organization of Islamic Cooperation (OIC) comprising former empires and colonies is now the collective voice of the Muslim world to ensure the safeguard and protection of the interests of its members. The Organization of Islamic Cooperation was established upon a decision of the historical summit which took place in Rabat, Kingdom of Morocco on 25 September 1969. In 1970 the first ever meeting of Islamic Conference of Foreign Minister (ICFM) was held in Jeddah which decided to establish a permanent secretariat in Jeddah. Historically, the greatest challenge facing the Organization of Islamic Cooperation (OIC) is its ability to establish a consensus among its members. The Organization of Islamic Cooperation’s existence is based on the idea that there is a commonality among its members that is stronger than their differences: and this is Islam. However, there are numerous important differences among member states, from language and culture, to political history and geographical location. Depending on a member state’s location, for instance, regional issues like Kashmir, Israeli-Palestinian conflict, or joining the European Union have greater importance. OIC membership has been particularly divided in the past ten years with regard to the Sunni and Shiah split among Muslims. Accordingly, the Organization of Islamic Cooperation’s credibility and potency remain limited, as most member states are members of other regional organizations thought to be more of a priority than the OIC. In addition, the Organization of Islamic Cooperation (OIC) does not have any extensive record of accomplishments and impotency of resolving the Syrian conflict which makes it a marginal union of rivaling countries: Sunnis and Shiites. The only decision the Organization of Islamic Cooperation (OIC) was able to take was that Syria was suspended from the OIC on August 15, 2012 for the government’s violent suppression of the revolt in the country. What the world does not understand is that ISIS while trying to reestablish the caliphate is not the caliphate itself. The Organization of Islamic Cooperation (OIC) is the Caliphate. ISIS is just the catalyst Elohim used to bring the world powers in the region and the substance that initiated and accelerated the end time events that needed to happen before the coming of the Messiah.